All the goodies from Alessi. 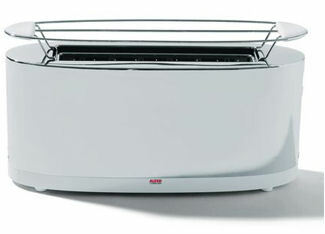 Toaster with bun warmer in 18/10 stainless steel and white thermoplastic resin, will become a centerpiece of your countertop. All the goodies from .